Peter Barnes: Today I'm with Ash Bhattacharya from Autismag. We're going to have a chat about what he's doing in the world of autism and it's very interesting. Ash, can you just tell us a bit about Autismag and how you got to the point you're at. What you're doing for people? Ash Bhattacharya: Sure. First of all, thank you Peter for having me on your podcast. It's been a journey for me so far, in the sense that I grew up in India in a remote village. When I was growing up with my brother who's severely autistic, he's on level three. Even at the age of 39 he is semi-verbal, to say the best. Given at that point in time the awareness around autism, by and large, was missing. It took a long time for him to actually get the diagnosis. What that resulted was, in there was some serious developmental delays, okay? To a point wherein we sort of felt like we missed the boat, in terms of how we could have actually leveraged the most out of early intervention. That element was missing, given that he didn't get the right level of care and support. As a consequence, even today at his age of 39, he's still, both financially and for his daily living needs, he is dependent on me and my family. Which is sort of the inspiration behind that. ` Also, to add onto that. You can call it by association or because we were growing up together. Given that my brother is only a year and a half elder to me, I also started ... As I was growing up I started imitating some of his repetitive behaviors. Essentially, I was also ... my speech was also delayed. My parents were concerned because their eyes were more tuned to identify those early symptoms. I was also referred for a diagnosis. Even though the first time I didn't get a positive diagnosis. At a later point in time, at the age of 12, because I had no friends. I was not interested in engaging in those social activities. I got diagnosed with Asperger's. Ash Bhattacharya: Yeah. Though I was always on the high functioning side. Ash Bhattacharya: Right. I was good academically, especially in maths and science related skills. Which is where I saw a difference in the role that parenting skills played for me, and my brother. Given that I was doing good academically, my parents were way more invested in me. They loved my brother a lot more but they had literally pinned all their hopes and aspirations on me. I ended up getting a lot of support from them, which is one of the reasons I went to college. I graduated. I got recruited by a top company. I worked in the Silicon Valley for a few years and got into middle management as well. From that point and time I realized that I've been surrounded by people on the spectrum for a while. It's about time that I would like to do something for it. Hence, I started Autismag. More as a passion project and as a blog to share my feelings about growing up with autism and with my brother. Peter: One of the interesting perspectives I've seen, just looking at some of your web presence, is that you say that your child's potential is only limited by what you believe. Ash Bhattacharya: It comes from a personal experience. Also, if you look around, one of the challenges that parents face on a day-to-day basis is a lot of stress. Anxiety, creeps in because parenting a child with special needs is hard. Right? Okay. Often they seem to have that sense of hopelessness. Whereas, if we are able to turn around that thought process, and rather than looking at a child with just special needs, we start to look at the child as someone who's got certain gaps in some areas. Like we all do. That mindset change alone helps in motivating the parents to be able to contribute a lot more to their kids developmental process. We've got examples all around today. For example, this guy Jonathan Brunot, right? Also, he is the face of ... He's been nonverbal autism all his life. He couldn't run for more than a hundred meters without getting distracted. Today's he's the face of New York Marathon. Peter: Oh really? He is? Ash Bhattacharya: Yeah. He's completed five marathons. Peter: Jonathan ... Can you spell that? Ash Bhattacharya: Jonathan B-R-U-N-O-T, I think. Peter: I'm sure some of our listeners would be interested in checking him out. Ash Bhattacharya: I think now he's got sponsors from everywhere you know? 'Cause he's run it five times. If you look him up, you'll find his interesting story and how much motivated his parents were, to contribute towards his development. Peter: That's a real life example of your belief. Peter: It's a pretty bold claim, to claim that your child's potential is only limited by what you believe as a parent. Ash Bhattacharya: Not everyone is going to grow up and become rocket scientist like. That's not the intent here but the intent is, if you believe that your child can actually achieve a lot. Okay? If you're really willing to work towards it, you will definitely end up getting somewhere there. Peter: Yeah, yeah. Okay. This is interesting. You're really focusing on coaching parents of children on the autism spectrum. Ash Bhattacharya: That is correct. Peter: More than helping the children directly. Peter: Is that your focus? Ash Bhattacharya: That is correct. Yes. Peter: That's interesting. Are there many people out there doing that? Taking that approach? Working with the parents, and the parents mindset, and the parents beliefs? Ash Bhattacharya: I think so. There are a lot of organizations, okay? Even if you look at organizations like Aspect today, right? I certainly think so, Peter, because even organizations such as Aspect of the moment, they're running a lot of campaigns around providing parents with the right set of tools and strategies to be able to achieve more out of being or developing their parenting skills as well as helping their child bridge those communication, social interaction gaps. Though, what I see essentially is that there is a lack of structured approach in the sense that parents are handed out a lot of resources and material, but there is no one actually hand holding them through that process. I'm not saying that that doesn't exist today. But if it does, not too many parents know about it, okay, and what Autism 360 is trying to do is actually help the parents through that journey. Because parenting a child with special needs could be lonely at times. And could be a bit onerous or taxing on the parents as well. And this is the thing that we are trying to ease for them. Peter: Okay, so just to clarify, Autism 360 is a program, which Autismag provides, is that what you're doing? Ash Bhattacharya: Yeah, that's correct. What is the Autism360 Program? Peter: And can you describe that program, what it's doing and how you do it and how are you delivering that, parent motivation, parents’ mindset, coaching, that's what it is, is it? Ash Bhattacharya: Yeah, the objective behind Autism 360 program is to put or empower parents to play a directorial role in their child's development, okay. It's a six month long program in which parents will receive not only all the tools, strategies, and the real life experience to be able to uptake or to be able to play that leadership role in that child's journey But they will also receive hands on coaching and one to one support from our panel of special providers who will work with them on a day to day basis. Peter: So, can you just elaborate on how the process works and talk to us a little bit about the sort of people who are actually doing this coaching work? Peter: And it's remote, isn't it? It's not face-to-face. Ash Bhattacharya: No, it's not face-to-face. It's remote via web conferencing. Peter: Okay, we'll come back to that remote a minute, but can you just tell us a little bit how it works? So assume I'm a parent, I have a child on the spectrum. How do I engage with Autism 360? How do I do that? Ash Bhattacharya: Yeah, so initially, what happens is that we've got, is our website, you've got an application link. Okay. What do you need to do, you need to fill out the application form, it's about 10 to 12 questions. What that helps us understand is whether we are in a position to help you i.e. if you join the program, are you going to get the kind of results that we expect our parents to get. Okay, and if we believe so, then we'll basically get in contact with you and walk you through in great detail how the program works, what is the framework and structure and the tools and resources that you want to get by joining the program. Peter: And what's the commitment from the parents’ side, how much time for example…? Ash Bhattacharya: So look, we want, the only way the parents are going to get results, and we're very upfront about it, is that it's by them doing the weekly activities that are assigned to them by the coach. Again, these are not like textbook kind of activities. But these are strategies and resources that the coaches will educate the parent on. And we'll show them how to facilitate while their child is doing those activities. These could be online or offline activities. But essentially, they would need to put at least six to eight hours a week in the embedding themselves in that process. And that would be around two to three hours working with the coaching planning every week. The work that needs to be done, what worked last week, what didn't. And also, then executing those strategies with the child and recording the progress and the matrix around it. Peter: And that goes on for six months? Peter: And at the end of the six months, then the hope is that they will be much more empowered, much more self-sufficient to help their child progress. Ash Bhattacharya: Yeah. So let me take a step back on that. Basically, how the program works is that at the start of the program, the parents are paired with their coaches. These coaches can come from different backgrounds, but the commonality between these coaches, they are heavily experienced, and having worked with kids on the spectrum. They could be special educators, behaviour therapists, or Autism workers. Key workers, who have thorough professional qualification also experience of work with hundreds of kids on the spectrum. And they understand at a broad level, what the spectrum challenges are and in most day to day scenarios they will be able to guide and mentor the parent in terms of what needs to be done, to be able to effectively handle a situation or bridge the gap. Now that said, often there will be some needs around specialized, intervention, okay. Which is why what we're also doing is we are partnering with reputed specialist providers within Australia and USA and as a mentor/coach believes that this is something that might require a lot of specialized care. The coach will bring into that conference, one of these panel therapists and together the parent, the coach and the specialist are going to work on the strategy. Peter: Right, would that be, all that be virtual meetings or face-to-face? Peter: Or will you connect a one of the specialists to the family physically like going to the house or the family visiting a clinic or an office or something like that? Is that part of it? Ash Bhattacharya: No. All be done through Zoom or Skype ... conference. Ash Bhattacharya: So, the coach will be on one side. The therapist on the other side on Zoom or Skype. Peter: Interesting. So you can leverage this thing, pretty big time using technology. Ash Bhattacharya: It is very scalable and that's all we are able to provide. Peter: You've got a background in technology, I think you mentioned earlier. Ash Bhattacharya: I do, yes. I worked in the Silicon Valley, for a very household name in electronics and consumer application. Peter: Correct. So, you are able to feel the edges of this technology. Ash Bhattacharya: Yeah, I've been fortunate enough to have acquired some of these skills. Peter: Well, that's really interesting. So one of the questions, I guess, that will come up is what's its cost? Can you give us some idea of how much the six month program costs? Ash Bhattacharya: Absolutely. Look, So, again, it might depend variance 20 to 30% based on, what the needs might be of the parent or the child, but typically, the payments can expect anywhere between $3500 to $4000 for the entire duration of the program. Peter: That seems ... it doesn't seem a lot considering the number of hours you described earlier on amd the calibre of the coaches you're getting. Ash Bhattacharya: Yes, look to be completely honest about payments can expect at least 40 to 50 hours of one on one consultation, throughout the duration of the program and how we are able to scale the service and this cost is, we are able to tap into people or specialists who can actually work beyond their regular hours. Okay, and work remotely. So that's all it's basically we are leveraging on the economies of scale, to be able to provide payments with this kind of value at this class. Peter: Right? What about funding? In Australia, at least there's the National Disability Insurance Scheme (NDIS). What exists in the USA, are the users of your service there able to tap into funding like that? 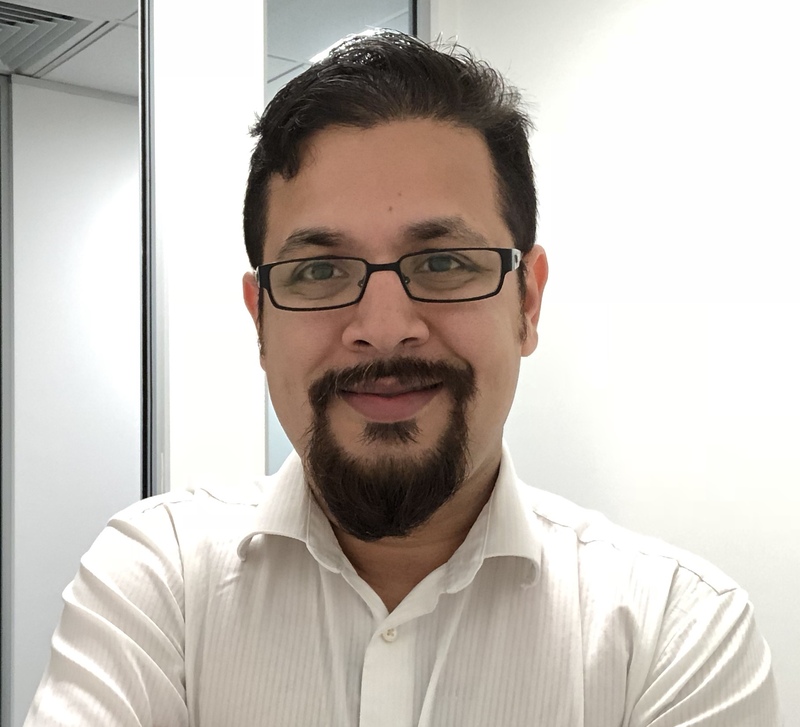 Ash Bhattacharya: In the USA they're not because it's not a direct disability service, it's where we are helping our parents or and mentoring parents to achieve a better outcome for their kids. In Australia however, there are options. We can actually recover most of the cost for the payments, but then we are not NDIS registered at the moment. So if parents are self-managed or have a plan manager, definitely there are options to work on or get rebates on majority of the consultation fees. Peter: Great, terrific. There's a big need for this service. I mean, the incidence of Autism has been growing. The diagnosis has been getting better and more precise around the world for quite a long time. And leaving aside the discussion about why that is so, do you have any data on how many people in these two countries, in the USA and Australia, would be classified on the Autism spectrum? Ash Bhattacharya: Yeah, look, I can certainly give you some ballparks. Right. So, about ... speaking of the prior rise in the prevalence, right? So 1992 according to CDC, the Center for Disease Control in the USA, one out of 150 kids were diagnosed with a formal diagnosis and Autism. Fast forward to 2016 which is the latest stuff that I've seen. It's one out of 59, okay. So, as you can see that it's been a massive rise in its prevalence and that is, to some extent attributed it to yes increased rate of diagnosis. Peter: Yeah, any kid who's really smart and likes technology is being diagnosed with Asperger’s? Ash Bhattacharya: It could be and that's, you know, it's not necessarily so. But essentially, I think, and this I say, from my personal experience only and I believe that some form of research should be done in the space. And I know for a fact that some universities are actually working on this, especially related to ADHD, but it could also be how we are evolving as a human species in general, right. We are becoming more and more dependent on machines. We like or we are more comfortable interacting with technology than with people, right. And the typical scenario is when you're in a bus or in public transport and see, previously people would communicate with each other, have a nice laugh or chat, but these days, if you're talking to the next person, he or she believes that you might be weird or something, right. So that's, that's our nature of interaction. And over the last few weeks, I've spoken to at least 100 parents, who are dealing with this day to day challenges and only very few of them have come back and saying that their kids are not reacting well to technology, like all of these kids that are really uncomfortable with iPads, phones, tablets. Peter: Yeah, So, they're very comfortable with the technology but not so comfortable with a human interaction, yes. Ash Bhattacharya: And that's because as I say, like it might be because of the evolutionary nature or because how we are being as human beings right now. I mean, we have more in more nuclear families, less of an interaction, so that might play a role. As far as the stats in Australia is concerned, that's more recent, I think the latest is one out of 79 kids. This is 2018 March data. One out of 79 kids are diagnosed to be on the spectrum. That means in Australia about 178,000 kids. Peter: Any idea what proportion of that 178,000 kids is getting support, getting services? Ash Bhattacharya: Look in Australia, it's much better with the NDIS playing a role okay. But that said, there are discussions around you another form, funding cuts or maybe the government underestimated the cost and, which is also one of the reasons why we are finding a lot of interest in parents about Autism 360, because some of these phases of getting a lot of grants at the moment and hence they are able to afford the best quality therapy and services. But if the grants stop coming or get significantly reduced, these parents need to have a full plan B as well to be able to take some charge or still continue with their child on that development journey. Peter: Okay, so whether or not funding gets reduced, you say that there's definitely a place for the service that Autism 360 is providing, yes? Is Autism 360 complementary or competitive to other autism services? Peter: So what do you see? I mean, longer term, look some years out. How do you see this evolving? The service you're offering, two questions, I guess. How do you see it evolving and do you consider yourself, complimentary to other services or more in competition to other existing services? Ash Bhattacharya: So at the moment, I would say that we are complementing with other services, like so at no point in time are discouraging any parents to go and seek professional help, where they have the opportunity to. Okay, this program would primarily be helping these parents to be able to make the most out of the available resources today, okay. And also, parents they want to be independent, so they don't want to wait for the next therapy session in four weeks’ time, and if they're stuck in between, there especially with kids on service, especially their stuff. I mean, they don't know how to move forward, which is why we have these weekly checkpoints in place and weekly sessions in place where every week we ensure that they are on track and be able to meet the goals that they have decided at the beginning of the program. Peter: I guess parent for the program is a proactive parent, not a parent who's just so shell shocked by the whole experience and the whole stress of having an Autism spectrum child. You said earlier on that you interview the parents to see whether they would benefit. So is that part of it? Is that what you looking for? Ash Bhattacharya: Yes, absolutely. Look so, we want parents who are action takers, okay, who will be able to make the most of the program, because the coach is going to motivate them on a weekly basis, but the coach can only do as much as the parent is inclined to engage. Right? That said, we do understand that parents often go through this emotional roller coaster, they may have small successes and then the middle and then they suddenly end up feeling like pulling from an empty cup. Okay? So they go to this mix range of emotions, which is why we're also offering other part of the program - a fortnightly counselling, okay by registered counsellors, okay. Who will basically listen to all their stress on negative beliefs that they might be having and these counsellors will actually help them get that breakthrough in terms of gaining clarity and get back into focus to continue with the program. So that's one of the things, the other thing that we are also doing is we're trying to pair two parents in the program and we're calling them buddies. So essentially two parents preferably in the same region. That's what we try to do. But if we can't, we'll find the nearest other parents whose kids are very similar age and they have very similar symptoms, okay, or coping mechanisms. We are trying to make these to be of a parent’s friends. So they're going through the program at the same point in time. They may or may not be coached by the same person. If they are coached by different person that's even better because then they can share and exchange perspective of ideas because every coach works differently as well. So, we’re creating that support system for the parents. Peter: Well, it sounds like you've really thought this through. Ash Bhattacharya: So far. Yes. Look, I mean, we have spoken to the parents are quite interested, like who could go through the program. Yes, they have signed up parents who didn't for whatever either because of time maybe they're just working on them got more kids to take care of, or for financial reasons. They have also requested for more material on the program. Peter: Ash, speaking of materials, the parents receiving the coaching services, I assume will have access to some downloadable materials they can print out and all that sort of thing. What about electronic resources? What do you provide in that instance? Ash Bhattacharya: Look, that's a great question Peter. We're trying to make the program as comprehensive as possible, right? Not only the interaction bit with the coach and access to the specialist therapist. We are also providing, pretty much, all the apps and technology bits that they might need to be able to support this journey. Just to give you a few examples, what we are doing is, we are giving ... Every parent will get an annual subscription of something called Boardmaker online app, which is an AAC, augmentative and alternate communication app that will help them stay organized. You know, get social and stuff. Also, with speech. Look, in addition to that they're also going to get a bundle of Social Express and Cool School. Social Express, essentially, allows the child to explore various social situations and prompts the right response to them in a very safe environment. Cool School, on the other hand, helps the child get ready for ... Prepares the child for school readiness and also unpacks bullying. In the sense that ... Because, many of these kids, the goal is for these kids to get included into the mainstream school. Like it or not, some of their friends are going to observe sudden ... Very level of difference in their behavioural interaction. Hence, the kids with autism are more subjected to bullying, in general. This is where I believe Cool School will definitely help these kids understand what goes on in that whole bullying system. Who are these bullies? What support system do they try. How they can actually make the situation more favourable? The kids can make the situation more favourable for themselves. Peter: Excellent. Improving social skills and handling bullying, that's clearly a need. Peter: In fact, what you're doing, clearly there's a need for what you're doing, out there. How you're doing it seems to be very leverage-able. Peter: Congratulations and all the best with it. Peter: If some of our listeners would like to find some more about Autismag and Autism360, how would they do that? You got a web address? Ash Bhattacharya: The easiest way would be to go to autism360club. There they can find out the necessary information on how to apply. Also download the course brochure. That's one way. Otherwise they can also go to the autismag.org, the main website. Over there, there is also a link called Know More About Autism360. Then that'll lead them to the same page with the same content. Peter: Excellent. Ash, thank you very much for your time today.